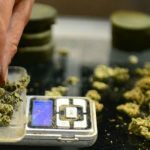 Marijuana has been frowned upon up until recently when people realized all the benefits it could have were much greater than the possible consequences. And that’s when it started being legal in a lot of states. This is good because now you can have your own grow room without having to worry about anyone else taking it away. It’s not really a bad thing to enjoy some from time to time. 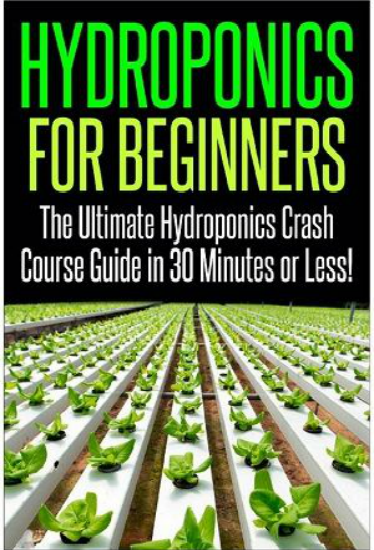 There are many products which help you grow better quality plants, as well as more plants. 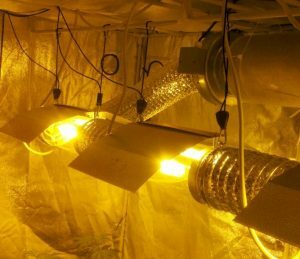 Inline fans are the next big thing when it comes to growing weed, and they’re pretty useful. They’ve also been fairly underestimated. These little things can help you greatly, and they’re not to be messed with.This is because they’re essential for managing temperature and humidity in your grow room. Without them, the whole operation can easily fall apart and your plants won’t grow well at all. Inline fans remove the excess of carbon dioxide which plants accumulates in a plant filled room and thereby stabilize the environment. 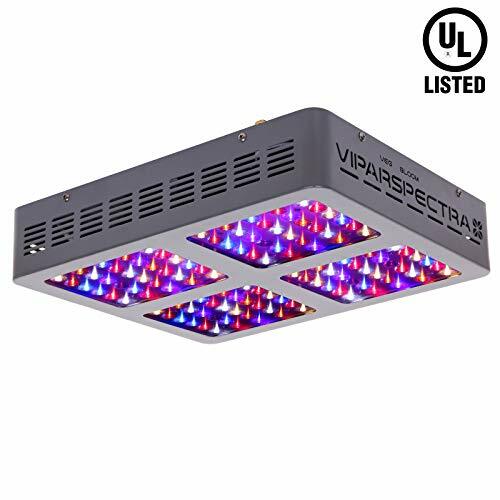 What’s more, the potential for overheating (and possible fires) due to the numerous lights we can find in grow rooms will be reduced greatly if you have an inline fan. 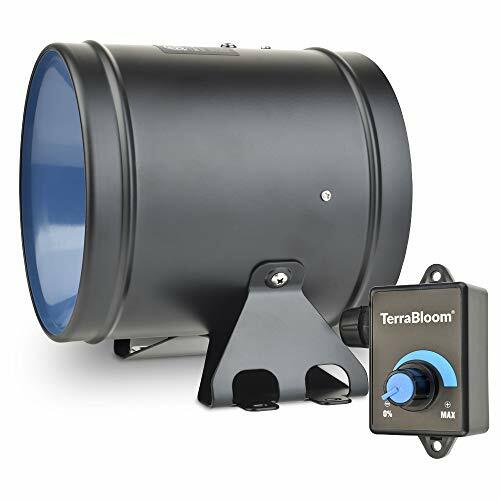 If you want to create a stress free area for your plants, which will surely help them grow, you’ll definitely want an inline fan to regulate the environment. There are many models you can choose from, which is why it’s helpful to do some research before you choose your new companion. That’s where this article comes in handy. 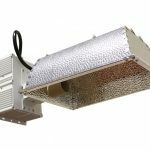 So if you want to learn more about inline fans for your grow room, have fun reading this article! This inline fan offers good and reliable service thanks to the advanced technology it was equipped with. When we say this we primarily mean the way it was designed. The particular design of the fan makes it so there is no noise or vibration once it’s turned on. What else contributes to the quiet operation is the permanently lubricated bearing. This means that it doesn’t require any maintenance to keep working its maximum potential. What’s more, the fan is fluted on both sides which means it’s able to receive ducting. 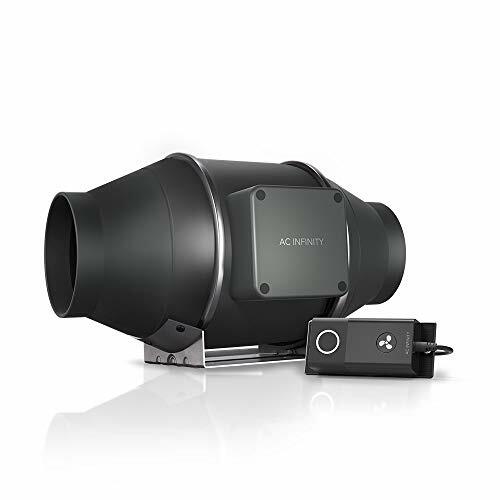 This also means that it’s for boosting the air flow in areas where there should be long runs of ducting. Experience the power first hand by purchasing it, you won’t regret it! If you’re looking for professional quality and efficiency on a top level, then be sure to look into this model more thoroughly. The company is all about professional standards. Take one glance at the fan, and you’ll see that right away. Then, when you learn the components are UL rated and that the fan has been polished with a durable powder, you might be even more impressed. It’s sure to serve you loyally for a long time, and will consistently deliver the same performance. 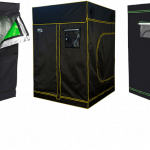 There are also many sizes you can choose from, depending on how big of a fan you need for your grow room. Whatever size you choose, it will be as perfect as the fan, so there’s no reason not to get it. Not as quiet as it could be. These too come in various sizes, depending on what you need for your room. The fan is made from ceramic which makes it practically invincible. The ceramic ensures that no rust happens to stumble upon the inner mechanics of the fan. It also prevents the degradation of any metal parts. What’s more, the fan is AC powered so you won’t have to worry about the battery draining, and you won’t have any issues with overheating. The best thing about this fan might be that it operates very quietly, which means you won’t even realize it’s there, all the while it’s doing its job diligently. Better hurry up with the shopping, your plants need it! The design could’ve been better. What you’ll notice first about this particular model is how robust and elegant it looks. This is because of the aerodynamic frame, and its steel construction. What adds to the eye candy experience is the black paint, which seems almost powdered into the fan. 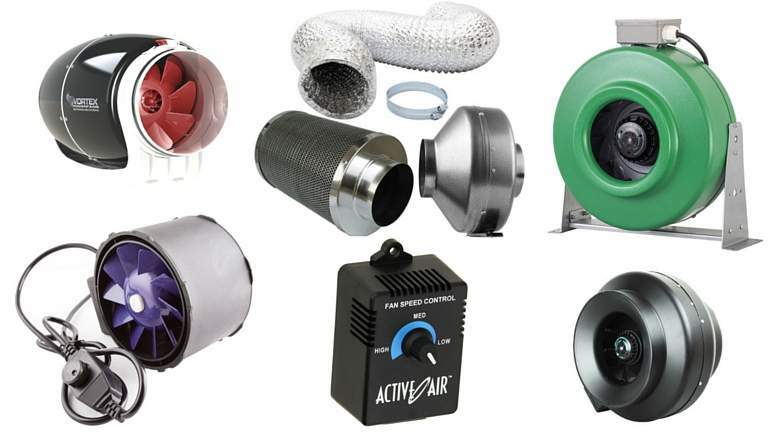 All of this also contributes to the fan’s efficiency and durability. It’s usually very annoying that you have to purchase the mount for the fan separately from the actual fan. Well, here, it comes with the fan, which is very nice because you’ll have an original mount with no hassle or extra price. What a bargain, practically asking you to buy it! Air movement weaker than on other 6” models. If you have a big room, you’ll need an effective and powerful fan. That’s why this particular product might just be what you’re looking for. It offers an impeccable performance, and is able to clear a 512 cubic feet room in only about 5 minutes! It also comes with a duct vent which can be easily put i=on it thanks to the crimped flanges on both of its sides. On top of that, it’s very durable thanks to the steel sheet housing. But this doesn’t make it heavy, which is another plus. It will also move into your heart very easily, so it’s best to get shopping! The fan is very easy to move thanks to its weight and size, and that’s what makes it so practical. Can’t be used with a speed controller. 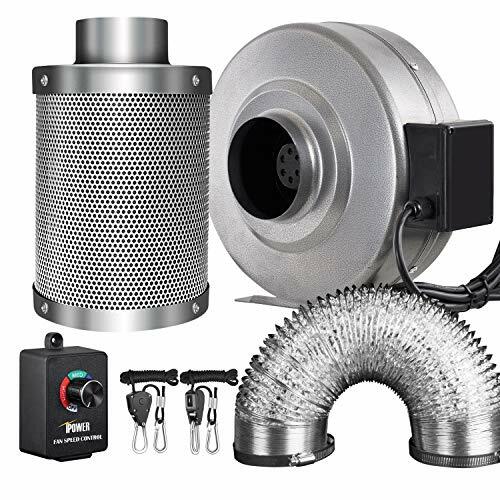 Ducts seem to be all the rage right now, so it’s no wonder that so many fans can be attached to a duct easily. This one is no exception. This is possible due to the extended collar and lip. In regards to durability, this fan is extremely durable and is even able to resist impact. The steel casing helps with that. What also contributes to the durability is the epoxy finish and rust resistant powder. These features also give the fan its sophisticated look, which really makes you realize why you splurged for this model. It also operates quietly and will be quick to rid of the fumes. Guaranteed to make you and your plants smile, so get shopping! Mounting points could’ve been different. The first thing we’ll notice Apollo has done different than the competition is offering the great addition of a speed controller. This is a very handy feature as it allows you to set the speed of the fan according to what your plants need. This very thing is what makes customization possible where it otherwise wouldn’t be. Sure, you can opt for a fan with no speed controller, but once you’ve tried the one which has it, you’ll wonder how you were able to live without it. Your plants will be thankful, too. So think long and hard about it, as this just might be a game changer. How are you still able to live without it? Get it now! Neither too big or too small. Among many other important features a fan can have, it has to be durable. If it wants to thoroughly get rid of the moisture and fumes which aren’t good for your plants’ growth, there’s no room for error. That’s why durability is the main focus of these fans. They’ve been made to last a long time, and they’re available in three different sizes to suit any customer. The housing is made of plastic, which makes the fan light, lets the air pass through with no issues, but which also ensures that it stays durable over time. 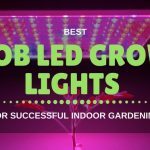 Buying this will surely do wonders for you and your plants. This won’t be a quiet fan. The biggest of the three models, it’s also the one which is preferable for bigger rooms, naturally. The best thing about Apollo just might be that their fans are rather quick at cleaning up all the inconveniences which might have gathered in your room. And this model is no exception to that rule. This is because the air is able to flow through unobstructed, thanks to the solid construction and great design. To be specific, the air movement stands at 190 CFM. This is impressive for such a small fan and its affordable price. Sure to make a great companion! Sure to make a great companion, so don’t wait too long before you get it! Clears the air up fast. Can Fan GL56736746 736746 Fan, 6"
We’re used to this company giving one of the best fans on the market, and pretty much all other products they come up with, but they’ve managed to outdo themselves yet again, with this Pro series. There were previous versions of the same fan, but updates weren’t for nothing. Now the fan is more efficient. This is one of the key features that a good fan needs. 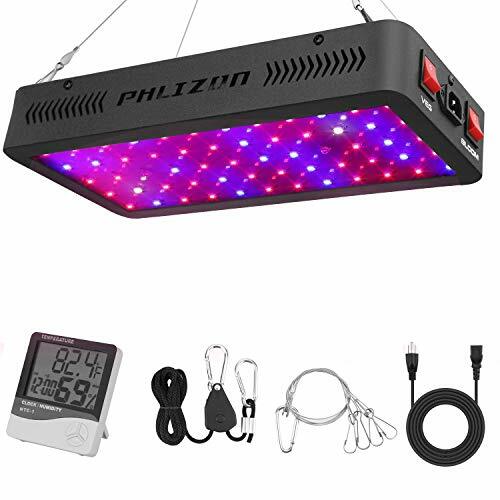 This is because it will take only a few minutes for the air to clear in your grow room, and that will save you time, energy, and money. Let’s face it, there’s nothing better than an efficient fan. Test this beauty out yourself by purchasing it! A fan from the same series, pretty much as efficient as the one aforementioned, but all of the good points increase thanks to the bigger size. A tendency with inline fans is that the bigger they are, the louder they are. This used to be a problem for the company, but with the pro series, they fixed that. That means that you can now enjoy all the perks of having a pro fan. Yes, no noise. These fans run a very smooth and quiet operation. They’ll be doing their job in the background and you won’t even know that they’re there. What’s more, this fan only needs 186 watts of energy, which means it will save a lot of money. That’s good news if you like to keep the air moving. Might be quiet but it sure does wonders. Get clicking! Could perform better when it comes to pushing static pressure. The biggest fan in the series of Pros is this one. That means that it’s also able to move the most air. 2342 CFM is nothing to joke about. 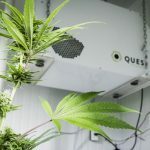 People grow marijuana in rooms of different shapes and sizes, but if you’ve got a really big room or just a lot of fumes and moisture, then you should definitely opt for this fan. Not only is very efficient, but it also saves a lot of energy. That means that you can turn it on whenever you need to, without worrying about it wasting too much money. Thanks to its size and efficiency, it will be the only fan you’ll need in the room. And thanks to the durability, it just might be the only fan you’ll ever need. So make sure to get it as soon as possible! Could be a bit lighter. 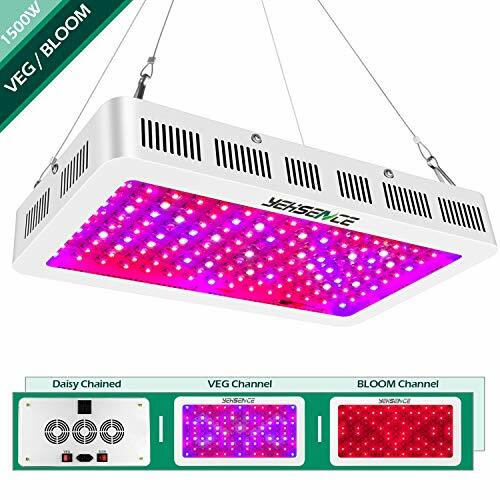 If you’re new to the whole growing marijuana thing or if you just don’t want to spend a lot, then a Yescom is a sound investment. It won’t cost you a fortune, but it will deliver satisfactory performance, and do its job accordingly. You won’t have any troubles with the moisture and fumes, that’s for sure. Thanks to the back propeller, this fan has no vibration and that makes it very quiet. And the motor was permanently lubricated so the fan is even more durable than it used to be. It also comes in various sizes to accommodate every user and their needs. Watch the magic happen right now by getting this fan! The filter could be better. From the same company which created the Pro series fans comes the Can Max fan whose performance is also admirable. If you’re a committed grower who’s got something to invest in, then you should definitely splurge for one of the Can Fan models, as they never disappoint. This particular model is able to move air quickly and efficiently. It will take it twice less the time than it does its competitors. What’s more, thanks to the supreme durability, you won’t have to look into another fan for a long, long time, if not ever. A true miracle worker, but check it out yourself by making it your own! If you’re not a professional or serious grower but would still like to offer your plants great quality without turning to the cheapest option, then this item is definitely right for you. It’s a great middle between the two options and you will surely get the value for the money. This unit is very lightweight due to its aluminum construction and that’s also what makes it easily portable. It comes in only one size, but it’s the ideal size for most tents, as it is somewhere in the middle. It’s quite durable for its range and price, which is not something you find often. You better buy this one if you want perfect plants! Comes in only one size. Vortex 347 CFM S Line S-600 Fan, 6"
And that’s exactly why this model has a thermal motor which resets itself after it reaches its limit. What’s more, the fan and motor are permanently lubricated which means that they will last for a long time. Don’t let the size of the fan fool you though, even though it’s so compact, it’s very powerful. The best part about it is that it’s speed controllable. But you won’t be able to control your love for it so be sure to get it right away! If you’re just starting out with fans and still experimenting and searching what works for you, then you should probably opt for this fan. It’s on the cheap side, but it is best for those who want to ease into the whole process and get comfortable with using fans. Thing is, some people don’t want or need fans at all, and before you decide what’s best for you, you can give fans a chance with this model. 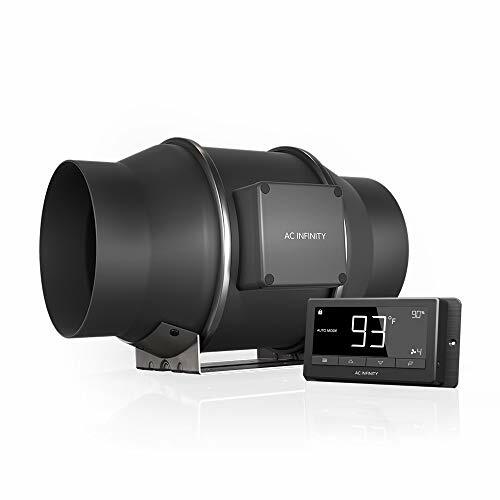 It has a rather high and efficient air flow regardless of its price and range. That’s a rare thing for these fans. Small rooms are an ideal place to put this fan in. It’s also quite enduring, as the motor has been protected and lubricated. It will surely make you fall in love with it and the whole concept, so be sure to get it! Before anything else, you need to determine what size your area is. This is important because different sized fans will have different rates of air circulation, and you want optimal circulation in your room for the best results. Luckily, there is an easy formula to determine the ideal size for your room. All you have to do is multiply the height of the room by its width, length, and 1.25. It helps give you an idea how much air should be removed from the room. Since some lights generate more heat than other, you’ll need to determine what kinds you’re using and then see which type of fan corresponds to that. HID lights tend to heat up the place more quickly, so in that case, you’ll need a fan that can handle and remove the heat, for example. 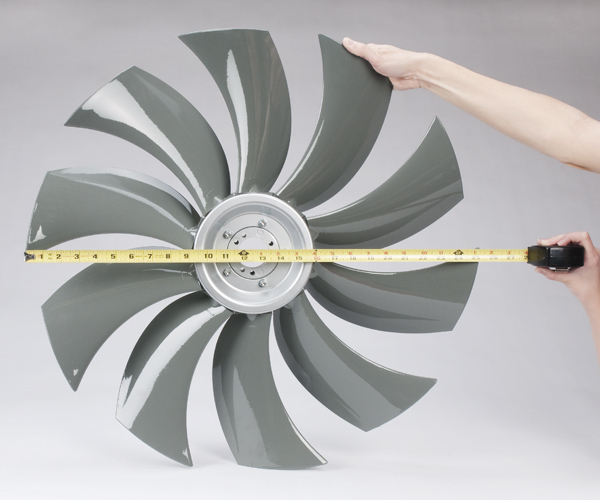 As you may have noticed, fans come in various sizes. It’s not always easy to choose the diameter you need. After all, there are those of 4” up to those of 16”. If you want a safe bet, get a 6” diameter fan. That’s because the most common indoor set up will be to accommodate that size perfectly. If that happens not to work for you, you can simply get a converter instead of an entirely new fan. 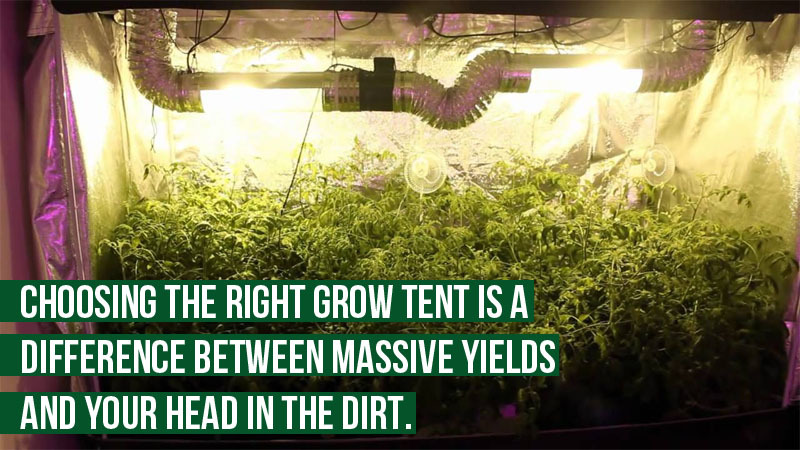 As you may already know, there are a few things that are essential for successful marijuana growth, and one of those is definitely inline fans. They keep things fresh and the air moving, which we all know is essential for quality photosynthesis. Because let’s face it, no matter how much better marijuana is from other plants, it’s still a plant. Remember that if you take good care of your plants, they will take good care of you, too. It’s also much better that you’re growing your own stuff because you never know where the one you buy comes from or what might be in it. 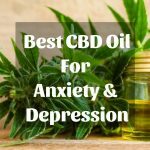 This is a much safer alternative, and it can prove to be cheaper, too. So look your fans wisely, as your plants will need them for sure. Once they’ve grown healthy and happy, you’ll be thankful that you decided to buy that inline fan. There are plenty to choose from, so be free to take all the time you need to make the right decision for you.